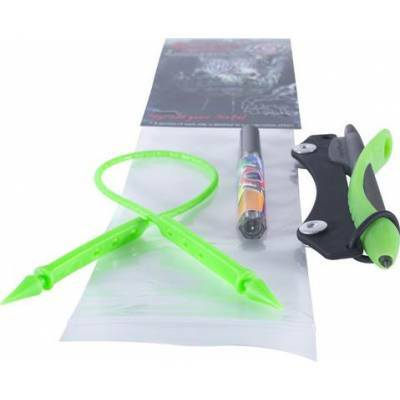 Purchase an Aqua Pencil Komodo Kit and you will get the Aqua Pencil, Aqua Tether, Black Rubber 2nd Rate Slate and an Aqua Lead Pack. our answer to “How do I add the Aqua Pencil to my instructor slate?”. For a long time now we have had a mount kit for rigid research slates but there was a need for a flexible mount. Our Rubber 2nd Rate Slate is the answer. Our Komodo Kit incorporates our Rubber 2nd Rate Slate along with an Aqua Pencil, Tether, and spare lead. Simply by punching two holes and using the hardware supplied, our pencil can now be attached to your slate. Being flexible means our mount kit will bend with any of your thin slates and not cause cracking. You get the ultimate underwater writing instrument and you get to use your slate too!